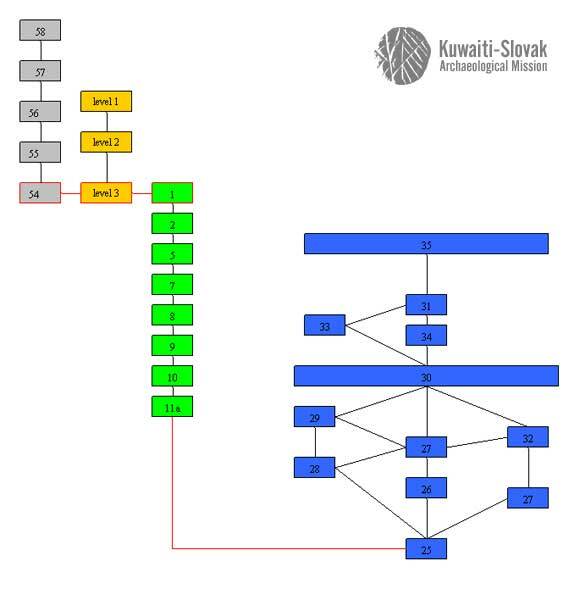 In order to complement the plant macroremains record, a phytolith oriented sampling of Al-Khidr site (Failaka Island, Kuwait) has been conducted in February 2006. This sampling intends to address a) the phytolith potentialities of the site, b) tracking evidences for plant food. Phytoliths are inorganic bodies of plant origin. Their most frequent published chemical compositions are calcium oxalate and opal (among other see Chattaway 1955 and 1956; Pinilla et al. 1997; Piperno 1988; Rovner 1971 and 1983). Calcium oxalates are observed as crystals, while opal phytoliths present a wide array of morphologies. However, aluminium (Sangster et al. 1997; Madella et al 2002) and apatite (Vrydaghs et al. 2000) components have also been reported. The sampling conducted in 2006 was designed to track the opal phytoliths. Opal phytoliths may appear as mineralizations in the cell lumen, the intercellular space, of the cell wall or in a combination of them ending in a partial mineralization of some tissues. They are reported for Pteridophyts (Piperno 1988), Gymnosperms (Klein and Geist 1978; Sangster et al.. 1997), Mono- and Dicotyledons (Brown 1984; Bozarth 1992; Metcalfe 1960, 1971; Metcalfe and Chalk 1950, 1979 and 1983; Tomlinson 1961; Twiss 1992; Kealhoffer and Piperno 1998; Rovner 1971 and 1983). Phytoliths are observed in different plant organs: leaves (Piperno 1988; Rovner 1971), culm (Blackman 1968), Angiosperm reproductive organs (Piperno 1989), woody tissues (Amos 1952; Balan Menon 1965; IAWA 1989; ter Welle 1976 a & b; Vrydaghs et al. 1995) and roots (Tomlinson 1961). Their morphologies vary with the organ and their tissues under consideration. After the death of the phytolith bearing plant and the decay of the tissues, the phytoliths are released in the environment and may be transported by hydrochoric, zoochoric or anemochoric agents. After their deposition phytoliths may be degraded and even destroyed under certain conditions, but some of the oldest known specimens date back to the Miocene (Thomassen 1980 a and b, 1983). While having been successfully applied to several Near Eastern archaeological deposits (i.e. Anderson et al in press, Albert 1999, 2005; Ollendorf, 1987; Rosen 1992, 1993), so far the published phytolith data for the Gulf area are restricted to three sites: Saar (Bahrain; Matthews et al 1997), ed-Durr (Um el-Kawein, U.A.E.) (De Paepe et al 2003; Haerinck et al 1998; Vrydaghs et al 2001; in press) and Kush (Ras al-Khaimah, UAE) (Ishida et al 2003). At Saar, date palm phytoliths are reported for the inner part of the temple (Matthews et al 1997). The research conducted for ed-Durr includes one bulk sample (Haerinck et al 1998; Vrydaghs et al 20001) and a collection of over 180 thin sections of potsherds (De Paepe et al 2003; Vrydaghs et al in press). Several phytoliths type deriving from the palm tree lignified tissues are identified for the ed-Durr bulk sample (Vrydaghs et al 2001). The origin of the sample (a black lens from the main entrance of a temple) suggests that date palm trunk might have been use during rituals (Haerinck et al 1998; Vrydaghs 2003). As to the analyses of the petrographic thin sections, it contributes to the characterisation of the local and non local production (De Paepe et al 2003) and suggests that the local production exploited several clay sources within the Omani mountains. The research conducted by Ishida et al at Kush (2003) represents the first major systematic sampling for phytolith analysis for the Gulf. The time period covered ranges from the 4th till the 11th century AD (Sassanian and Islamic periods). The analyses identify barley (Hordeum sp.) and the date palm tree (Phoenix dactyliphera) for a time period extending from the 4th/5th till the 6th century AD. Though these evidences derive from different contexts, the finding of palm phytoliths is related to building structure, more likely roof. Interestingly, the evidences for crop cereals are provided by papillae morphotypes and not by the dendriform ones, their classical markers (illustrations of papillae and dendriforms might be found at http://home.byu.net/tbb/). An increase in grass phytoliths marks the abandonment of the site during the late 8th and 9th centuries AD. Further evidences for phytoliths deriving from barley were recorded for the late 11th century AD and are associated with a change in the composition of the phytolith spectra. Previous archaeobotanical research conducted at Failaka (Willcox 1990) document two periods, the Bronze Age and the Hellenistic Period. Except for few seeds typical for Leguminosae (n=4) and Palmae (n=1), the Bronze Age remains consist mainly of charcoals from shrub species (Tamarix sp. and Ziziphus sp.). The Hellenistic record is marked by a co-occurrence of seeds and charcoals. The seed material derives from Graminae (Triticum aestivum; Hordeum cf. distichon and H. nudum) and Leguminosae (Medicago sp., Trifolium sp. and Lens culinaris). However, while Salicaceae charcoals are reported for the Bronze Age, the Hellenistic period is marked by charcoals from Pinaceae (Pinus sp.). Evidences for the palm tree are also reported but in rather small amount for the region. In general, the charcoal material is poorly preserved. This observation is related to the high salinity of the soils as with most of the sites in the Arabian Gulf Region (Willcox, ibid.). Approaching the phytolith potentialities of the Al-Khidr site, the published plant reference material, the present-day phytolith record and the archaeological deposits will be considered. Of the taxa identified by the previous archaeobotanical research (Willcox, ibid.) the Salicaceae, Triticum and Hordeum are known to accumulate regular phytoliths within their tissues (Vrydaghs 2003 vol. 1 and 3). On the other hand, while several Pinaceae, Rhamnaceae and Leguminosae taxa accumulate phytoliths within their leaves, the literature does not provide evidences for regularities comparable to the ones of the previous taxa. Until now, no data are available for the Tamaricaceae (Vrydaghs ibid.). Several taxa found nowadays on the island are represented in the Dhofar (Oman) collection (Ball 2002; see tab. 1), the only reference available for the Gulf area. According to this reference collection, at the species levels, they is no evidence for distinctive phytoliths for Aizoon canariense (Aizoaceae), Launea mucronata (Asteraceae), Salsola imbricata and Sueda vermiculata (Chenopodiaceae), Fagonia bruguieri, F. indica and Zygophyllum qatarense (Zygophylaceae). Some other taxa exhibit distinctive morphotypes, Cyperus conglomeratus (Cyperaceae), Aeluropus lagopoides, Cenchrus ciliaris and Cynodon dactylon (Poaceae). At the genus level, regularities are proposed for Heliotropium (Boraginaceae) and Convolvulus (Convolvulaceae) and some are suggested for the Asteraceae and Labiatae (Vrydaghs 2003, Vol. 1 and 3). In the future, a two steps strategy will be developed in order to establish a workable reference collection. At first, taxa not represented in the literature will be collected. Afterwards, according to the results, complementary taxa will be sampled, being either published ones or not. The purpose of the study of the phytolith modern day record is the elaboration of a referential for the archaeological material. Samples of modern dung and top soils samples have been taken. Fig. 1: Al-Khidr, Failaka (Kuwait). Location of the archaeological samples taken during the 2006 campaign. Marshy areas (sabkha) are a striking feature of the Failaka landscape. As so, they deserve peculiar attention. The sampling of some specific spots such as the lowest point of the island completes this first overview. Each time, a list of the botanical species present on the station has been established by M. Hajnalová. The collected dung material derives from camel, sheep and goat and an unknown species. As camels graze all over the island, the phytolith content of their dung should provides a general overview of the present-day vegetation. Sheep and goats graze around the farms and are fed by imported fodder (cereals and modern fodder from the continent and Saudi Arabia). The relevancy of their dung should be restricted to the farm surroundings. Four sections have been sampled: in trench 22S, in deep sounding in 22S (22S DS for short), sections in the trenches 24AA and 24W (fig. 1). Sections in 22S DS and 24W present a marine and archaeological member. Solely archaeological deposits composed sections in 22S and 24AA. Sections in 22S DS and 24W have been sampled from the uppermost layers of the marine deposits till the top of the archaeological sequence. Fig. 2: Al-Khidr, Failaka (Kuwait). Sections 24AA (light grey), 22S (orange), 24W (blue) and deep sounding in 22S (green) and their correlations. The black lines point contacts between the layers while the red lines the possible correlations. A sandy shelly layer provides a correlation between sections in 24AA, 22S and 22S DS (fig. 2). According to M. Hajnalová, archaeological, archaeozoological and rare archaeobotanical evidences distinguish the sandy layer from 24AA from the one observed in 24W and 22S DS. A loose sandy layer correlates sections 24W and 22S DS (fig. 2). However, it is assumed that these four sections might provide a general overview of the phytolith content of the various deposits. In order to address a possible post depositional contamination of the deposits by phytoliths deriving from roots, two samples of root remains obtained by flotation have been taken. The method designed to track the evidences for plant food is similar to the one adopted to establish the phytolith potentialities of the site, i.e. the plant reference collection; sampling of the present-day context and the archaeological deposits. Since several years, it has been established that some of the basic Near Eastern food crops (wheat, barley, date palm) produce distinctive morphologies (Rosen 1992; Hodson et al. 2001; Vrydaghs et Doutrelepont 1997). They might be preserved over a long period of time (Rosen 1993; Ishida 2005). More recent developments propose that some common cereal crops might be discriminate on a quantitative base (Ball et al 1996 and 1999). The purpose of this sampling was to approach the phytolith record of the modern agricultural activities. The collected material is distributed into two categories: present-day activities and sub-recent activities. if phytoliths are altered by passing through the digestive system of the ovi-caprin. A date palm garden (Al Sabbahiyah) located close to the farm has been sampled according to the in and off site strategy. As previously, the vegetation associated to the palm tree garden has been listed. The superficial soil of an area known to have been cultivated till the 1950s was also sampled. As control sample, dung from camels was taken. In order to recover phytoliths evidences from the plant resources, two specific contexts have been approached: in situ storage jars and the adherence of charred organic material to potsherds. Two storage jars from trench 23W have been sampled in situ. At least in three cases (Anderson et al, in press; Mbida et al, 2005 and Thompson and Mulholand, 1994) with one example for the Near East (Anderson et al ibid), phytoliths have been reported in charred material adhering to potsherds. Therefore, part of the Al-Khidr potsherds collection has been screened (see tab. 1), leading to selection of 5 pieces for further analyses in the laboratory. Four remains obtained by flotation and preliminarily interpreted as dung have been collected and transmitted for phytolith analysis. c) at least one archaeological sequence from another site covering several cultural periods. If possible, this section should be situated inland. 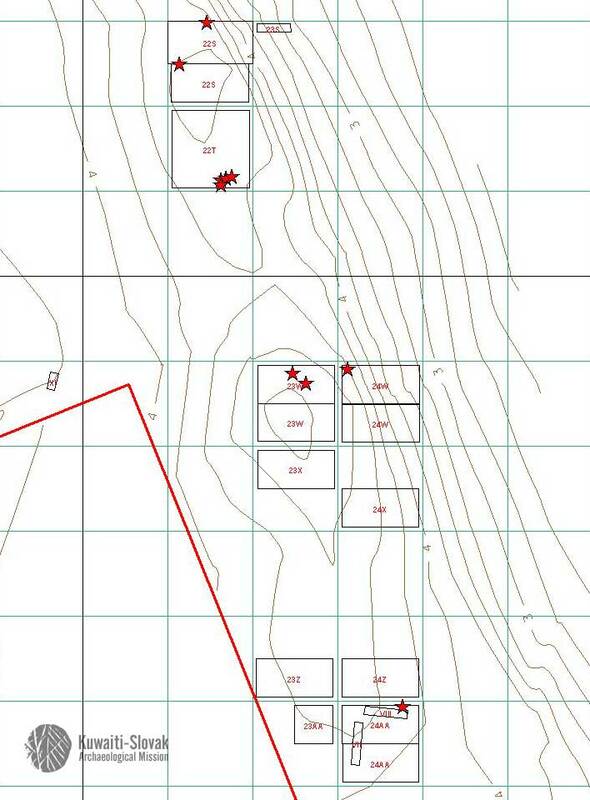 Soundings a) and b) ought to be under the dominant winds blowing from the Al-Khidr site. This will address the hypothesis of the phytolih content of the dust blow. As marshy areas might serve as natural trap, a section in such context might be of particular importance. Moreover, sounding a) and b) might also help providing geological and pedological data. As to the sounding c), it might contributes to circumvent the responsibility of the human factor in the phytolith deposition as well as addressing the question of the evolution of the conditions favouring the phytolih (and possibly of other plants remains) preservation through time. Abbadi, G. A. and El-Sheikh, M. 2002. 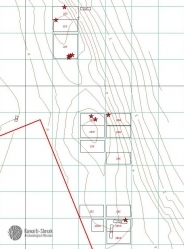 Vegetation analysis of Failaka Island (Kuwait). Journal of Arid Environment 50: 153-165. Albert, R. M., Tsatskin, A., Ronen, A., Lavi, O., estroff, L., Lev-yadum, S. and Weiner, S., 1999. Mode of occupation of Tabun Cave, Mt. Carmel (Israel), during the Mousterian period: a study of the sediments and the phytoliths. Journal of Archaeological Science 26 (10): 1249 - 1260. Albert, R. M. and Henry, D. O., 2005. Herding and agricultural activities in Abu Nukhayla (Wadi Rum, Jordan). The results of phytolith and spherulite analyses. Paléorient 2 (30): 81-92. Amos, G. L., 1952. Silica in timbers. CSIRO Australian Bulletin 267: 5-59. Anderson, N., Ball, T. B., Thompson, R. G. and Gardner, J. S., in press. A study of phytoliths extracted from food residues taken from a Bronze Age jar. In Vrydaghs, L. and Degraeve, A. (eds). Proceedings from the 3rd International Meting on Phytolith Research (3rd IMPR). Brussels, August 2000. Ball, T. B., 2002. Dhofar Phytolith Reference Collection. CD. Balan menon, P. K., 1965. Guide to distribution of silica in Malayan woods. Malayan Forester Research 28: 284-288. Ball, T. B., Gardner, J. S. and Anderson, N. 1996. Identifying phytoliths produced by the inflorescence bracts of three species of wheat (Triticum monococcum L., T. dicoccon Schrank., and T. aestivum L.) using computer-assisted image and statistical analyses. Journal of Archaeological Science 23: 619 - 632. Ball, T. B., Gardner, J. S. and Anderson, N. 1999. Identifying inflorescence phytoliths from selected species of wheat (Triticum monococcum, T. dicoccon, T. dicoccoides and T. aestivum) and barley (Hordeum vulgare and H. spontaneum) (Graminae). American Journal of Botany 86 (11): 1615 - 1623. Blackman, E. 1968. The pattern and sequence of opaline deposition in rye (Secale cereale L.) Annals of botany 32: 207-218. Bozarth, St., 1992. Classification of opal phytoliths formed in selected dicotyledons native to the great plains. In Rapp, G. Jr. and Mulholland S. C. (eds): Phytolith Systematics. Emerging Issues, Advances in Archaeological and Museum Science. Vol.1, Plenum Press, 193-214. Brown, D. A., 1984. Prospects and limits of a phytolith key for grasses in the central United States. Journal of Archaeological Sciences 11: 345-368. Chattaway, M., 1955. Crystals in woody tissues. Part 1. Tropical Woods 102: 55-74. Chattaway, M., 1956. Crystals in woody tissues. Part 2. Tropical woods 104: 100-124. De Paepe, P., Rutten, K., Vrydaghs, L. and Haerinck, E. 2003. 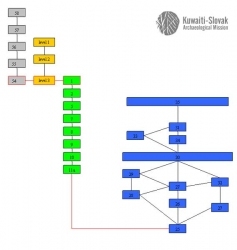 Petrographic, chemical and phytolith analysis of late Preislamic ceramic from ed-Dur, Um el-Kawein (U.A.E.). In Potts, D. Hasan Al Naboodah, H. and Hellyer, P. (eds. ): Archaeology of the United Arab Emirates. Proceedings of the First International Conference on the Archaeology of the United Arab Emirates: 207 - 229. Haerinck, E., Vrydaghs, L. and Doutrelepont, H. 1998. Des feux sacrificiels pour la divinité solaire à ed-Dur. Arabian Archaeology and Epigraphy 9: 125-130. Hodson, M. J., Westerman, J. and Tubb, H. J., 2001. The use of inflorescence phytoliths from the Triticeae in food science, In Meunier, J.D. and Colin, F. (eds. ), Phytoliths: application in earth sciences and human history, A. A. Balkema Publishers: 87 - 100. IAWA Committee, 1989. IAWA list of microscopic features for hardwood identification. Wheeler, E.A., Baas, P. and Gasson, P.E. (eds. ), IAWA Bulletin n.s. 10 (3): 219-332. Ishida, S., Parker, A., Kennet, D. and Hodson, M. 2003 Phytolith analysis from the archaeological site of Kush, Ras al-Khaimah, United Arab Emirates Quaternary Research 59: 310-321. Kealhoffer, L. and Piperno, D. R., 1998. Opal phytoliths in Southeast Asian flora. Smithsonian Contribution to Botany 88. pp 39. Klein, R.L. and Geis, J.W., 1978. Biogenic silica in the Pinaceae. Soil Science 126 (3): 145-156. Madella, M., Carnelli, A. L., Theurillat, J.-P. and Ammann, B., 2002. Aluminium in the opal silica reticule of phytoliths: a new tool in palaeoecological studies. American Journal of Botany 89 (2): 346-351. Matthews, W., French, Ch., Lawrence, T., Cutler, D. and Jones, M., 1997. Activities inside the temple: the evidence of microstratigraphy. In Crawford, H., Killick, R. and Moon, J. (eds. ): The Dilmun temple at Saar, New York, London: 35-38. Mbida, Ch., De Langhe, E., Vrydaghs, L., Doutrelepont, H., Swennen, Ro., Van Neer, W., and de Maret, P. 2005. Phytolith Evidence for the Early Presence of Domesticated Banana (Musa) in Africa. In Zeder, M.A., Bradley, D.G. Emshwiller, E. and Smith, B.D. (eds. ): Documenting domestication. New genetic and archaeological paradigms. University of California Press. Berkeley, Los Angeles, London: 68-81. Metcalfe, C. R. 1960. Anatomy of the Monocotyledons. I Graminae. Oxford, Clarendon Press. Metcalfe, C. R. 1971. Anatomy of the Monocotyledons. V Cyperaceae. Oxford, Clarendon Press. Metcalfe, C. R. and Chalk, L. 1950. Anatomy of the Dicotyledons. Oxford, Clarendon Press. Metcalfe, C. R. and Chalk, L. 1979. Anatomy of the Dicotyledons. I Systematic anatomy of leaf and stem with a brief history of the subject. Oxford, Clarendon Press. Metcalfe, C. R. and Chalk, L. 1983. Anatomy of the Dicotyledons. II Wood structure and conclusion of the general introduction. Oxford, Clarendon Press. Ollendorf, A. L., 1987. Archaeological implications of a phytolith study at Tel Miqne (Ekron), Israel. Journal of Field Archaeology 14: 453 - 463. Pinilla, A., Juan-Tresserras, J. and Machado, M. J. (eds.) 1997. The state of the art of phytoliths in soils and plants. CSIC 4, 292 pp. Piperno, D. R., 1988. Phytolith analysis. An archaeological and geological perspective. Academic Press. Piperno, D. R., 1989. The occurrence of phytoliths in the reproductive structures of selected tropical Angiosperms and their significance in tropical palaeoecology, palaeoethnobotany and systematics. Review of Palaeobotany and Palynology 61: 147-173. Rosen, A. M., 1992. Preliminary identification of silica skeletons from Near Eastern archaeological sites: an anatomical approach. In Rapp, G. Jr. and Mulholland, S. C. (eds. ): Phytolith Systematic. Emerging Issuses. Advances in Archaeological and Museum Science. Vol.1: 129 - 148. Rosen, A. M., 1993. Phytolith evidence for early cereal cultivation in the Levant. In Pearsall, D. M. and Piperno, D. R. (eds. ): Current Research in Phytolith Analysis: application in archaeology and palaeoecology. Philadelphia, MASCA, The University Museum of Archaeology and Anthropology, University of Pennsylvania: 25 - 30. Rovner, I., 1971. Potential of opal Phytoliths for Use in Palaeoecological Reconstruction, Quaternary Research 1 (3): 345-359. Rovner, I, 1983. Plant opal phytolith analysis: major advances in archaeobotanical research. In Schiffer, M. (ed. ): Advances in Archaeological Method and Theory 6: 225-266. Sangster, A. G., Williams, S. E. and Hodson, M. J., 1997. Silica deposition in the needles of the Gymnosperms. II Scanning electron microscopy and X-ray microanalysis. In Pinilla, A., Juan-Tresserras, J. and Machado, M. J. (eds. ): The state-of-the-art of phytolith sin soils and plants. Centro de Ciencas Medioambientales. CSIC Monografias 4: 135-146. Thomasson, J. R., 1980a. Archaeoleersia nebraskensis gen. et sp. (Gramineae - Oryzeae), a new fossil grass from the Late Tertiary of Nebraska. American Journal of Botany 67: 876-882. Thomasson, J. R., 1980b. Paleoriocoma (Graminae, Stipea) from the Miocene of Nebraska: taxonomic phylogenetic significance. Systematic Botany 5: 233-240. Thomasson, J. R., 1983. Carex graceii sp. n., and Cyperocarpus eliasii sp. n., Cyperocarpus terrestris sp. n. and Cyperocarpus pulcherrima sp. n. (Cyperaceae) from the Miocene of Nebraska. American Journal of Botany 70: 435-449. Tomlinson, P. B., 1961. Anatomy of the Monocotyledons. II. Palmae. (Metcalfe, C.R. ed.). Oxford University Press. Thompson, R. G. and Mulholland, S. C., 1994. The identification of corn in food residues on utilized ceramics at the Shea site (32CS101). Phytolitharien Newsletter. Twiss, P. C., 1992. Predicted world distribution of C3 and C4 grass phytolihs. In Rapp, G. Jr. and Mulholland, S. C. (eds. ): Phytolith Systematics. Emerging Issues, Advances in Archaeological and Museum Science. Vol.1, Plenum Press: 113 - 128. Vrydaghs, L. 2003. Studies in opal phytoliths. Methods and identification criteria. Unpublished PhD, Ghent University. Vol 1: Dissertation. Vol. 3: A phytolith Atlas. Vrydaghs, L., Doutrelepont, H., Jansen, S., Robbrecht, E. et Beeckman, H. 1995. De la valeur systématique des phytolithes dans le bois des Naucleeae (Rubiaceae). Biologisch Jaarboek Dodonaea 63: 161-173. Vrydaghs, L., Doutrelepont, H., Beeckman, H. and Haerinck, E. 2001. Identification of a morphotype association of Phoenix dactylifera L. lignified tissues origin at ed-Durr (1st cent. 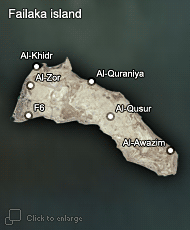 AD), Umm Al-Qaiwain. In Meunier, J. D. and Colin, F. (eds. ): Phytoliths: Applications in Earth Science and Human History. Balkema: 239-250. Vrydaghs, L., Runge, F. et Doutrelepont, H. 2000. Analyses phytolitariennes: acquis et prespectives. In Servant , M. et Servant-Vildary, S. (eds. ): Dynamique à long terme des écosystèmes forestiers intertropicaux. UNESCO: 389-398. Vrydaghs, L. et Doutrelepont H. 1997. Des pierres dans les plantes. In Homes-Fredericq, D. et al (eds. ): Lehun et la Voie Royale. Les fouilles belges en Jordanie. Bruxelles: 144-147. Vrydaghs, L, De Paepe, P., Rutten K. and Haerinck, E. (in press) A space of exchanges. Phytolith analysis of ceramic thin sections from ed-Dur (Umm al-Qaiwain, U.A.E.). In Madella, M. and Savard, M. (eds.) Ancient plants and People. Contemporary trends in archaeobotany. Arizona University Press. Willcox, G. 1990. The plant remains from Hellenistic and Bronze Age levels at Failaka, Kuwait. In Calvet, Y., Gachet, J. (eds. ): Failaka. Fouilles Françaises 1986 - 1988. Travaux de la Maison de l´Orient 18. Lyon - Paris, 43 -50. Welle, B. J. H. ter, 1976a. On the occurence of silica grains in the secondary xylem of the Chrysobalanaceae. IAWA Bull. 2: 19-29. Welle, B. J. H. ter, 1976b. Silica grains in woody plants of the Neotropics, especially Surinam. In Baas, P., Bolton, A. J. and Catling, D. M. (eds): Wood structure in biological and technological research (Leiden Botanical Series 3), Leiden: 107-142.